Popping in to say hi! I know we are all on the mad dash to get things done before Christmas. I'm sewing and knitting up a storm on my end. I'm making a special quilt for a friend who just had her home burglarized and I'm determined to get it done in the next couple days. 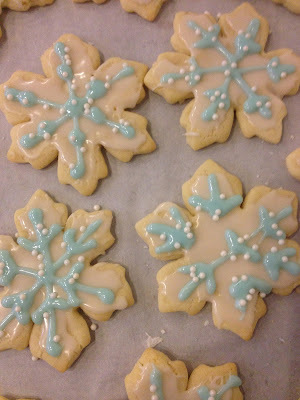 Yesterday I went down to the cafe to help the girls get 178 snowflake cookies decorated for a special order. I took this picture with my phone. It was a lot of fun decorating them, but a lot of work! There are rumors of snow for our part of Michigan in the next day or so. We may have real snowflakes by Christmas. Would love to hear what you've all been up to. Blessings! Lovely cookies! Have a wonderful Christmas. These cookies are so darling...sending you oodles of Christmas JOY your way dear one...may Jesus'love surround you and your family as you celebrate His birth! 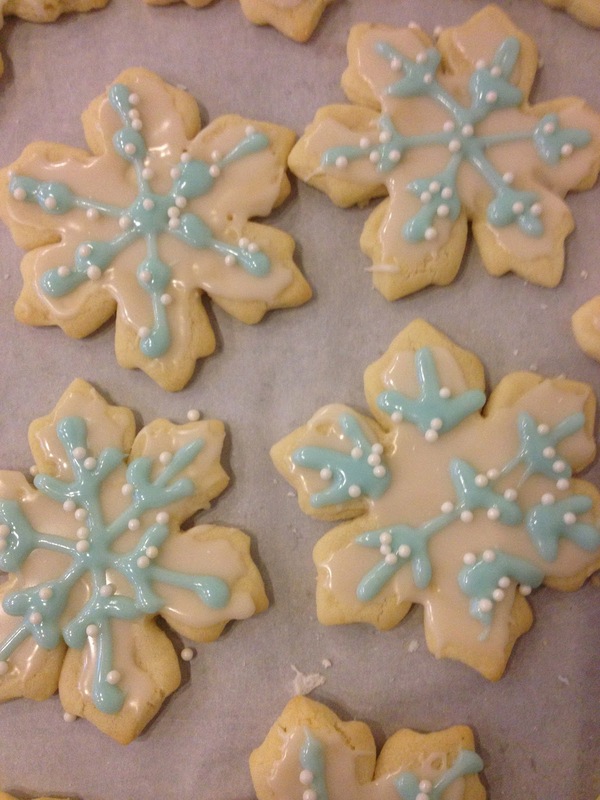 Beautiful snowflake cookies! Try to slow down and enjoy the spirit of the season. Merry Christmas Renee! Getting ready to work today, then I am off until the 27th. Your cookies look yummy! I'll be baking this weekend and getting ready for Christmas dinner at my house. Merry Christmas to you & yours!